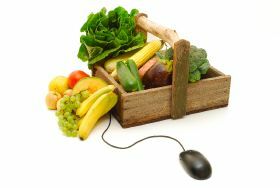 Online grocery retail in the UK is set to grow almost nine per cent in the next five years according to a global study by IGD. The grocery research charity forecast above-market-average growth for Britain, with its online grocery channel expected to be worth $22.1 billion by 2023 and account for 7.9 per cent of the total retail market. With a six per cent share at present, the UK’s ecommerce grocery channel is already more prevalent than that of most other countries. Only South Korea and Japan have a more dominant online channel, with a market share of 8.3 per cent and seven per cent respectively. IGD said the research shows that, globally, the online grocery market growth is being driven by two key factors: evolving shopper expectations and tech innovations. The researcher said shopper expectations of price, quality, choice, convenience, speed, personalisation, health, information and empowerment are changing fast, with the online channel “well placed” to deliver against these. Head of retail Insight for Europe, the Middle East and Africa, Jon Wright, commented: “We’re anticipating continued online growth opportunities across mature Western European markets. In the UK, France, Germany and Spain we forecast above market average growth rates for online grocery retailing, all growing market share. Perhaps unsurprisingly, China will see its online grocery sector expand faster than that of any other country, with compound annual growth of 31 per cent predicted in the next five years. The Chinese online grocery market is forecast to grow by the same amount in value as all of the other nine countries studied by IGD combined. The ecommerce channel in China, which is already more advanced than in almost any other country inthe world, is expected to increase in value from $50.9bn in 2018 to $196.3bn in 2023. And market share is set to leap from 3.8 per cent to 11.2 per cent. Meanwhile, South Korea, which already has the largest online grocery channel share in the world, is set to retain this position, with six per cent growth from 8.3 per cent to 14.2 per cent anticipated. Commenting on online growth in Asia, IGD Asia’s programme director Shirley Zhu said: “China, Japan and South Korea are the Asian markets leading the way in online grocery shopping, and we’re seeing significant market share penetration in these three countries. IGD also forecasts extensive growth in the US with online set to more than double its market share, driven by the rapid expansion of pick-up points, Instacart’s expansion, and integration of businesses such as Shipt and Home Chef. Market share will grow to 3.5 per cent, creating a $37bn opportunity for American retailers and manufacturers to exploit. Online retail is also set for major growth in Germany (+23.2 per cent in market value), Canada (+21 per cent) and Spain (+17.9 per cent), albeit from a considerably smaller base than in the other countries covered by the research.